It is estimated that there are over 15.5 million dogs suffering from arthritis right now – many of whom are silently suffering. Arthritis is defined as inflammation in the joint, and it may be accompanied by pain, discomfort and/or stiffness. There are 5 general areas which are most succeptible to arthritic change: hips, knees, elbows, shoulders and spine. In the case of arthritis related to cranial cruciate ligament (CCL) injury, the onset of arthritis is linked to the traumatic injury of the knee joint. Dogs do not exhibit signs of pain in the same way we do by crying, whimpering or complaining. 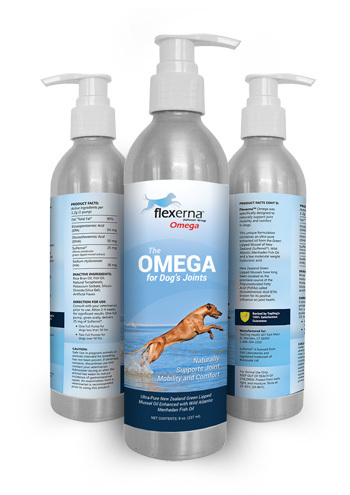 You will need to pay close attention to the habits of your pet to try and determine whether arthritis is an issue. Dr. James suggests if at all possible, you need to have x-rays taken to accurately diagnose arthritis, particularly, the exact point of origination for the arthritic change. The video above was created by veterinarian, Dr. James St. Clair of TopDog Health and Rehabilitation. 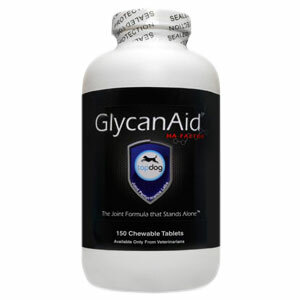 Dr. James created his GlycanAid-HA joint support formula as a result of working with many patients and owners coming into his rehab center with a plethora of different supplements. In 2007 he began working with one of the leading experts in the world of veterinary supplements and developed joint health supplement formulas packed with ingredients that he knew worked, and were something he wanted to offer his patients.